He said he expects to be back in weeks rather than months after spraining right ankle Thursday. Segura, who is on the 10-day disabled list, said he thinks the recovery process will only a take “a couple weeks,” rather than months. He injured his right ankle during the fourth inning against Colorado as he slid into second base. Segura was attempting to advance on a Danny Valencia sacrifice fly that scored Ben Gamel. On the play, Segura was thrown out and sprained his ankle. Looking back, he said he “should not have gone” to second on the play. 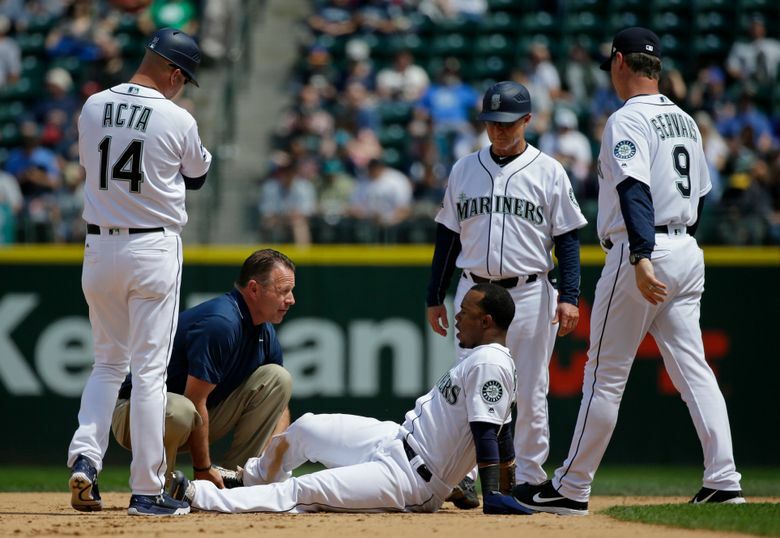 “My foot kind of stopped in (the) base, and when I slide, it went over and just my foot crossed over to the base, and I just felt something sprain,” Segura said. Segura said if it continues to feel better in the next few days, he will begin to do some “activities.” Segura is now wearing a boot and is receiving treatment as the swelling goes down. In the game against the Rockies, Taylor Motter, who was playing in left field, took over Segura’s place at shortstop and Motter has started in that spot since. However, Mariners manager Scott Servais has said that Tyler Smith, who was called up from Class AAA Tacoma and made his major-league debut on Friday, will also work in that position. Segura is currently second in the American League in batting average (.341), and he has an on-base percentage of .391. While Smith called Segura an “impossible guy to replace,” Segura is optimistic about the timetable for his recovery. A week ago, Hisashi Iwakuma was displeased with how his shoulder felt and how he threw the ball in his first bullpen session in his recovery from shoulder inflammation. On Saturday, he was on the mound facing hitters — Carlos Ruiz and Boog Powell — in a one-inning simulation. So what was the change from seven days prior? The plan is for Iwakuma to throw another simulated game in four days. And then pitch in at least two rehab starts before returning to the rotation.